The tour to Trieste is an easy tour; the last two stages are a bit hilly. The tour goes along bike paths or very quiet side roads, through small villages and picturesque landscape. Individual arrival at the hotel in the Alta Pusteria. Car parking in close proximity to the hotel is available and free of charge. After a short transfer to the Gailberg Pass (350 m difference in altitude / 5 km) you then descend to Kötschach-Mauthen. On the bike path of the Gail Valley you cycle comfortably past Hermagor. 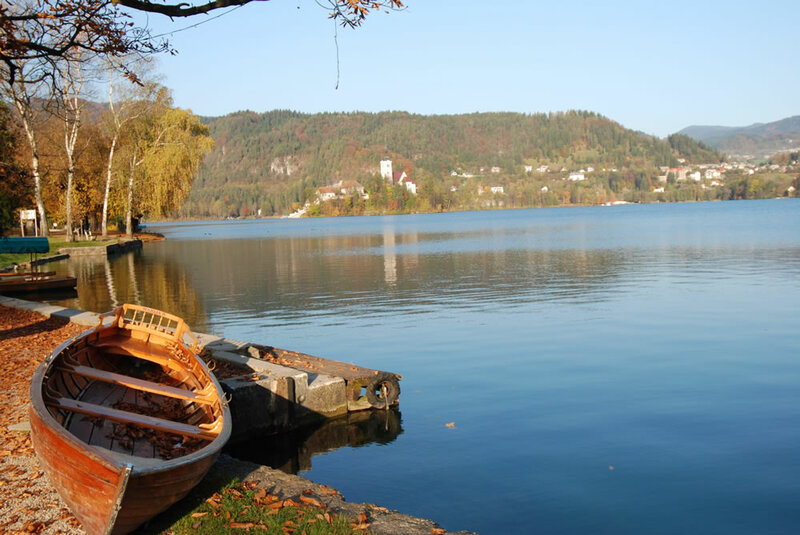 Before you reach Feistritz Lake Pressegg will invite all epicures to a relaxing break. Along your way you reach the Italian border and then carry on the cycle path. 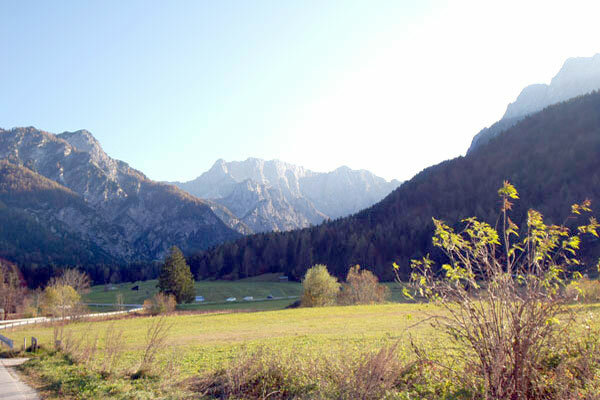 Now you leave Italy and travel on to Slovenia, past the famous ski area of Kranjska Gora, the bike path passes through the wonderful, and mostly unknown, countryside of Slovenia. 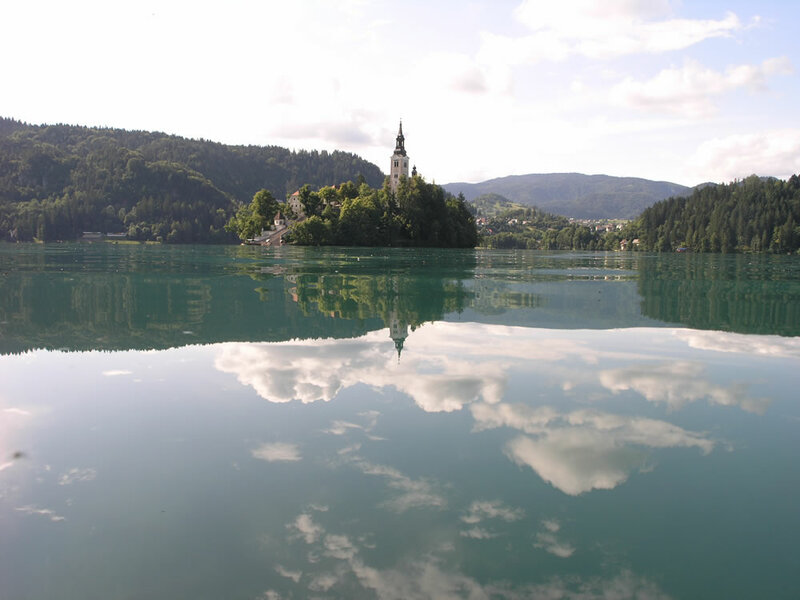 You spend the night at the romantic Lake Bled. After the transfer by train, you will reach the Soca valley, popular with canoeists and adventurists. In Kobarid you will get a historical review of the decisive battles of the First World War, which led to a preliminary decision. At the next stop especially the lovers of good food and wine will get their money´s worth. At the end of the day, the historic city of Cividale del Friuli invites you on a tour, eg. the Devil´s Bridge. Goths, Lombards and Franks have shaped this city. On the way through the Collio Goriziano, centre of the Friuli wine growing region, there are many wine cellars to stop at and taste the excellent wines. After tackling a few hills, you come to Gradisca d´Isonzo, where you spend the evening. There is a possibility to choose a longer variant passing at Udine, probably the most important town in the Friuli region, which is well worth a visit. 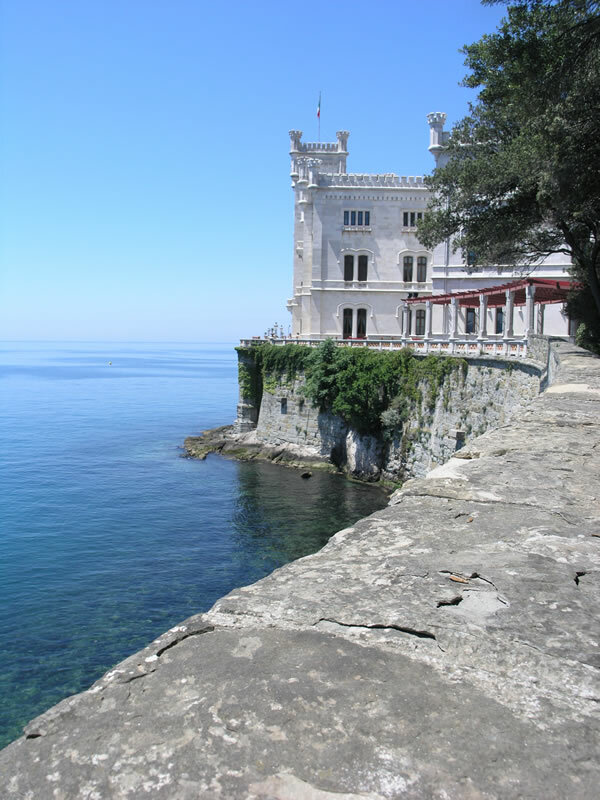 The Karst accompanies you on your way to the Adriatic coast, and before you get to the former Habsburg port of Trieste, it is well worth stopping to look at Castle Duino and Miramare. Indivdiual departure or possibility to extend your stay. Arrival every Saturday from from 27/04/2019 (first available date) to 28/09/2019 (last available date). In addition, from 11/06/2019 to 10/09/2019 (incl. ), arrivals will also be possible on Tuesday and Friday. Attention: Tourist tax – where applicable – has to be paid on site. € 80.00 per person (bicycle included – reservation and payment upon booking). Free and unguarded parking facilities for the duration of the bicycle tour at a nearby public parking area. € 85.00 per person (bicycle included – reservation and payment upon booking). Minimum 2 persons.